We are celebrating St. Patrick’s Day all month long with lots of specials and events for all of our charmed clients. Sip champagne, learn to dance, and enjoy deals on massages, facials, Dysport®, and Restylane® this month with Azura. March 13-17, stop by Azura and reach into our pot of gold! Pull out a ticket for an additional discount on products, peels, BOTOX®, facials, massages, and more. 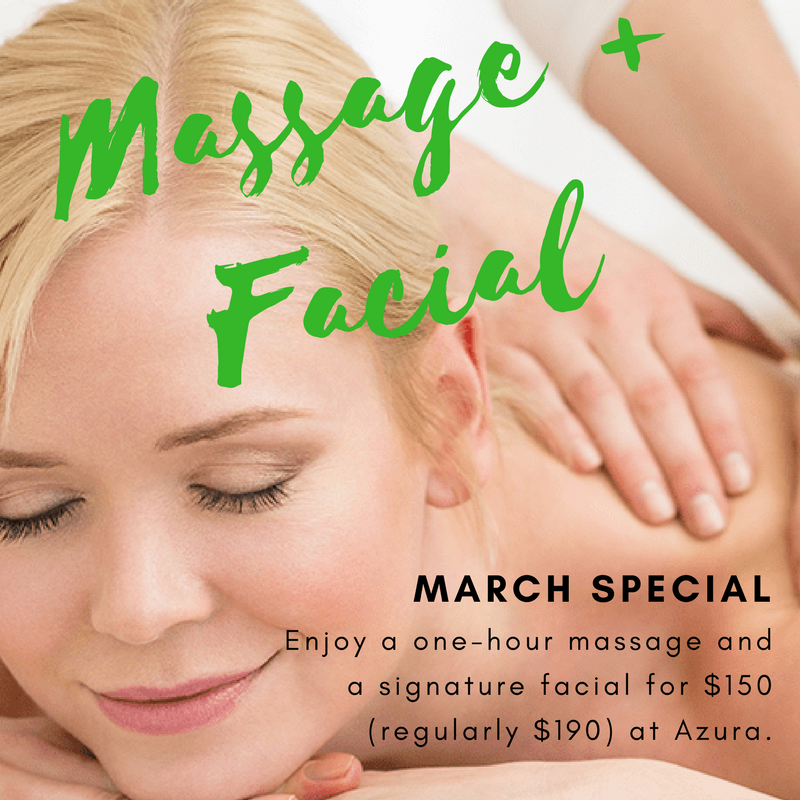 You don’t have to be lucky or Irish to take advantage of this March deal – one-hour massage and signature facial for $150! Keep your gold in your pocket and enjoy a one-hour massage and a signature facial for $150 in the month of March. (Regularly $190.) Massage and facial will be customized to fit your specific needs. Add on a microdermabrasion or dermaplaning treatment the same day as your massage or facial for just $50. It gets even better – also enjoy half off a brow waxing while you are here! All Together in One Great Offer! 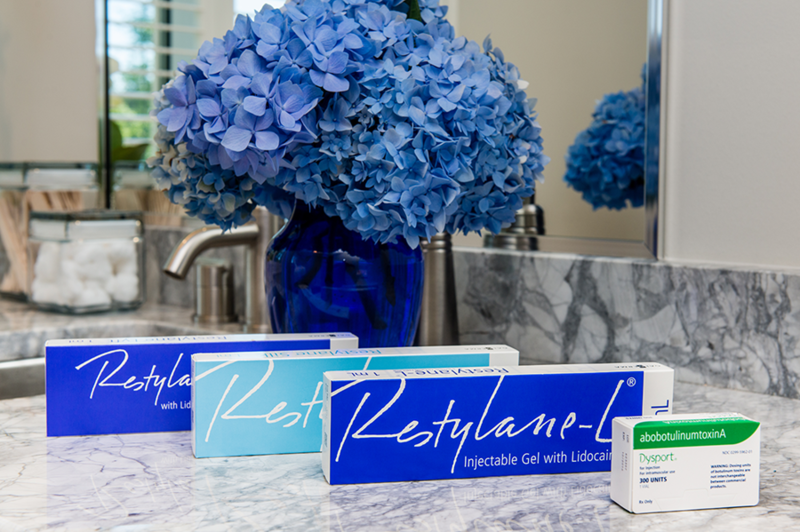 Purchase any two Restylane® products and receive one area of Dysport® free – up to 50 units. Add on a microdermabrasion or dermaplaning treatment the same day as any injectable treatment for just $50. Cheers to Models for Charity & Me Fine Foundation! 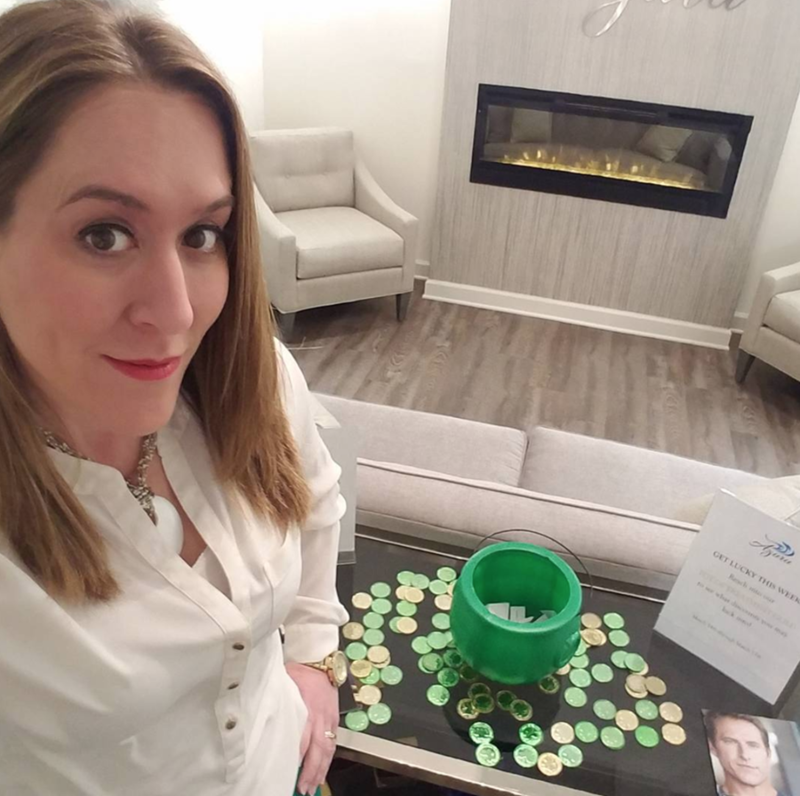 Join us for a cocktail party on March 8, 2018! 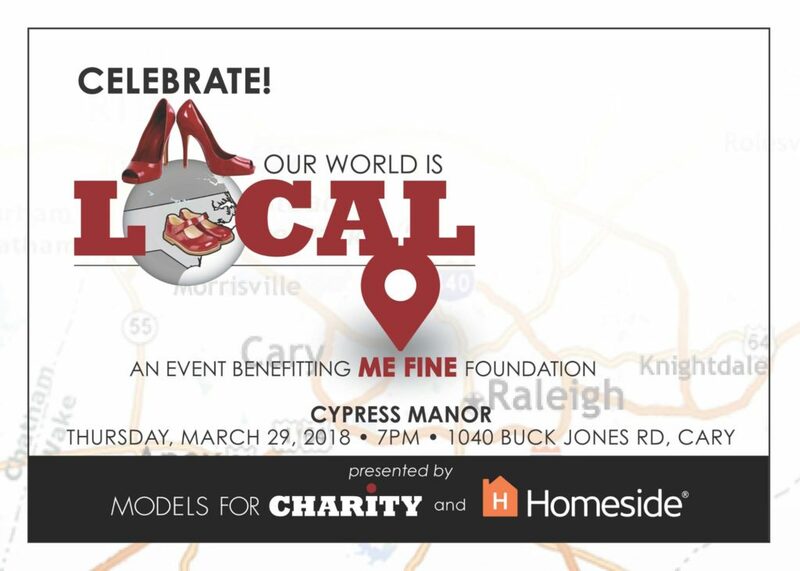 Models for Charity is hosting their anniversary event on Thursday, March 29. We are kicking off the party with a pre-show cocktail event on Thursday, March 8, where you can purchase discounted tickets to their main event and more! We want to say “Thank you!” for being an Azura VIP client by inviting you to join us in a bevy of fun and unique experiences in 2018! 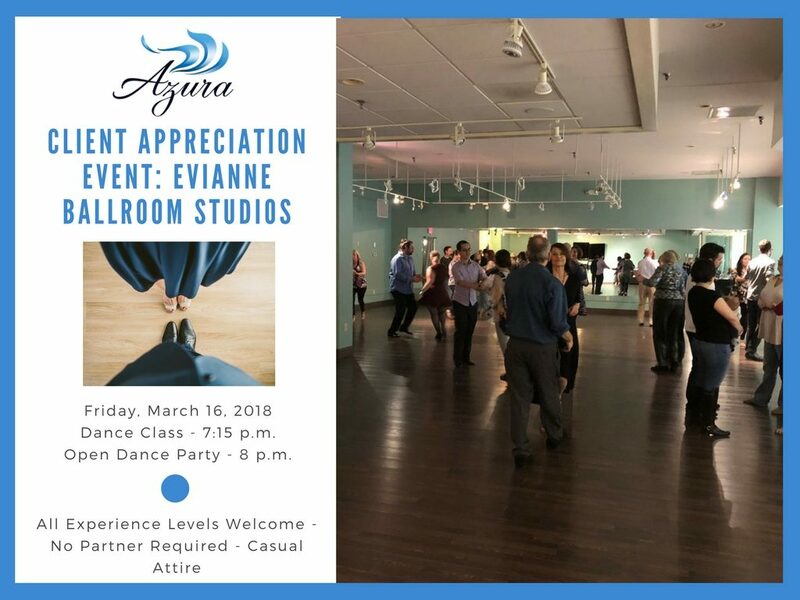 Earlier this year we hosted a free yoga day at Barre-Up and we are so excited about our next event – a free dance lesson at Evianne Ballroom Studios on Friday, March 16, 2018. Learn the basics to two or three different styles of dance starting at 7:15 p.m. and stick around after for an open dance party. Try out those new moves on a social dance floor and socialize with our lively dance crew! 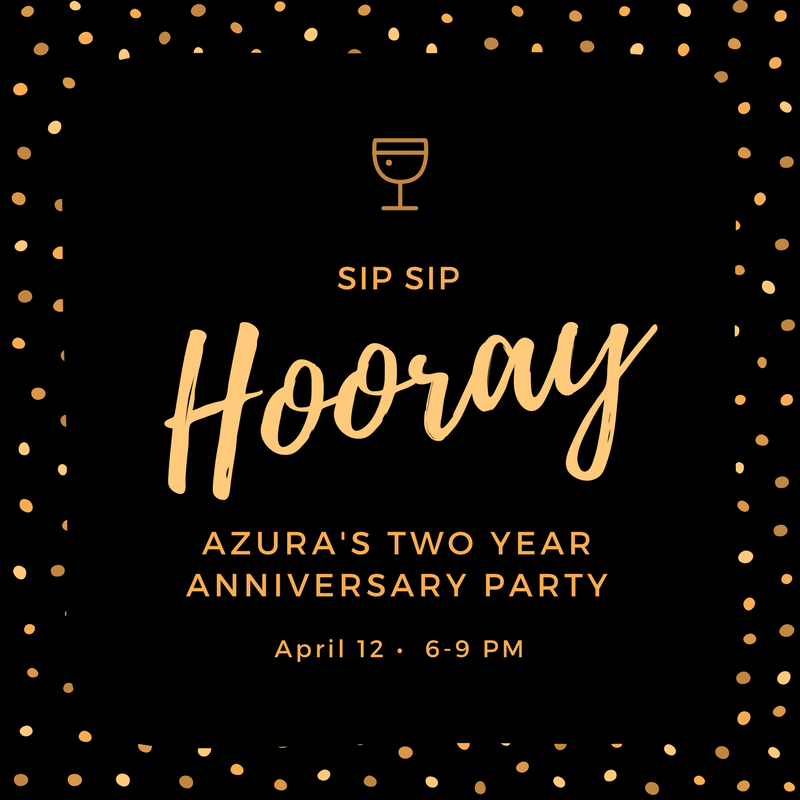 Two years have flown by and we can’t wait to celebrate with all of our fabulous clients on April 12, from 6 until 9 p.m.
We will have raffle prizes, food from Cupcake Stop Shop, champagne, and more. 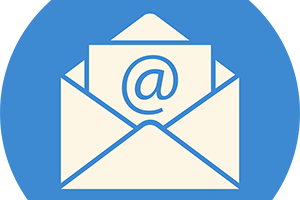 If you have been to any of our previous events, you know Jennie and Dr. Stevens host a great party that’s not to be missed. More info to come… stay tuned!